You just never know when your life may turn on a dime. Almost 19-year-old Amberley Snyder didn’t when she glanced down at her road map and lost control of her truck. In an instant she broke her back and faced starting life again from a wheelchair. 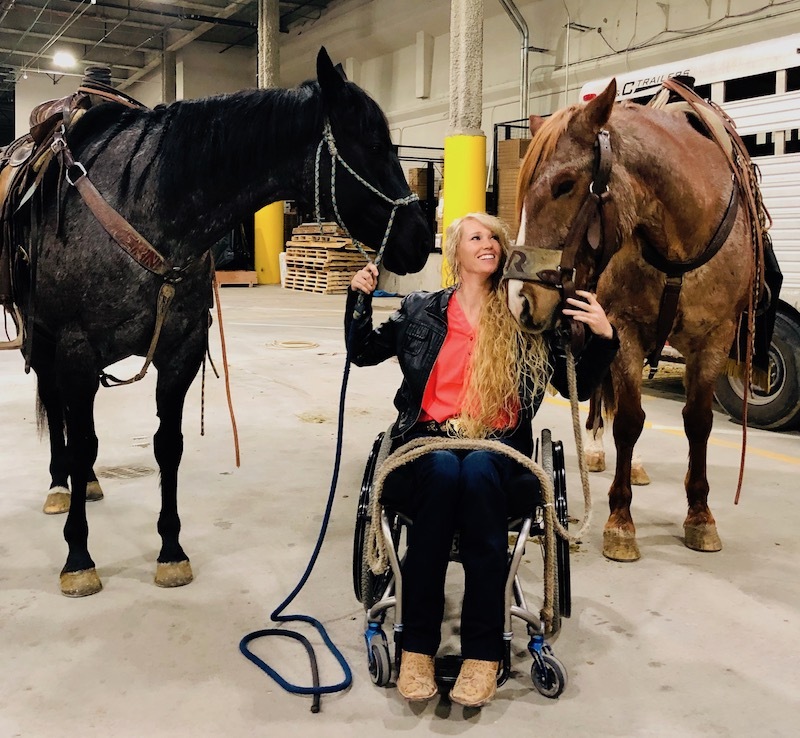 I was honored last week to talk with Amberley, now 28, while she was on the road in Texas competing as America’s only paralyzed barrel racer. You see, Amberley, chose to bend instead of break when she could no longer feel or use her body from the waist down. This daughter of a former Major League Baseball pitcher stepped up to the plate and hit a home run in how she decided to turn her tragedy into triumph. Today, Amberley is an accomplished rodeo professional and a motivational speaker. And, she is the star of a new Netflix movie about her remarkable recovery and resiliency. The film, Walk. Ride. Rodeo. releases today, and I encourage you to watch it. 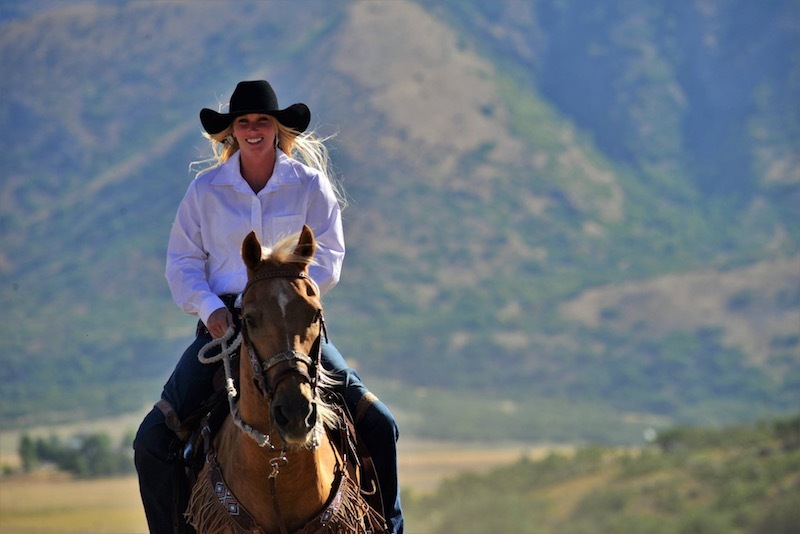 In our interview, Amberley and I connected a bit about my growing up riding and showing my friend’s quarter horses. I love horses and riding, but barrel racing was and is a bit too fast for me. Without control of half of her body, Amberley is out-of-this-world amazing to balance and lean in on her horse like she does at quick-fire speeds. Wowzer! In researching Amberley’s story, I read that she relied on her faith to make her comeback from her life-altering injuries. So we concluded our conversation with her thoughts on finding meaning and purpose in our most challenging times. You and I may not be dealing with the same mobility challenges as Amberley, but we too have obstacles and stressors than can leave either define us or refine us. Well said, Amberley, well said. I invite you to click here to read my “Turning Tragedy into Triumph” article about Amberley’s inspiring story. Well, just a few minutes ago, I finished watching the incredibly-inspirational movie WALK.RIDE.RODEO. (Tim says he has been concerned with how intensely I’ve sobbed. I can’t recall the last time I’ve wept AND rejoiced this much in one film). I can’t explain why, but God has used beautiful, resilient, and determined Amberley’s POWERful story to impact my Life in ways that will be seen in the year ahead. I am different after this story, on this night, the 9th day of March, 2019. I love and adore the amazing AMBERLEY, her extraordinary Mamacita, her sheltering Daddy, Autumn, the humble and noble Tate, and her loyal horses POWER and LEGACY. What an ideal family and what a priceless journey-line of being MORE THAN A CONQUEROR THROUGH JESUS CHRIST!!! AMBERLEY is living fiercely and beautifully as an OVERCOMER. Beth, I’m beyond blessed that you’ve shared her vibrant story in the print media. God is using Amberley’s story to draw others to the Light and to the Love of THE ONE who loves her most. I praise His Holy Name!!! I was born and raised in an active RODEO family. My Mother was in “Reining” and was “Rodeo Queen” long ago. My Daddy was a long-time “Calf Roper”. He competed regularly, year after year after year. Daddy has the cowboy limp to prove it and a whole lot of buckles and more! Momma has always said “Dorease, you could ride a horse before you could walk”. Yes, this movie has moved up onto my short list of all-time favorite movies. BETH, thank you for this gift of Amberley’s story. Very inspirational, Beth. Should make us all “giddy up!” so to speak! She’s amazing.